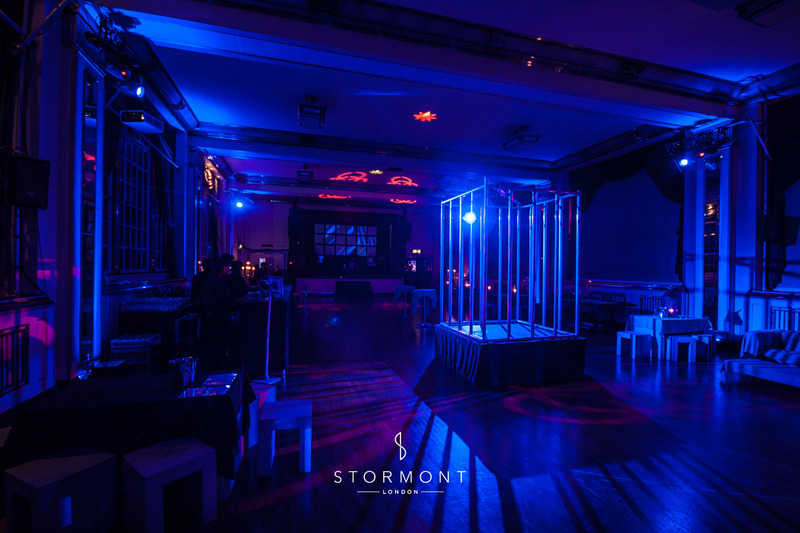 The Mansion London host guest list only parties in opulent venues around the capital. 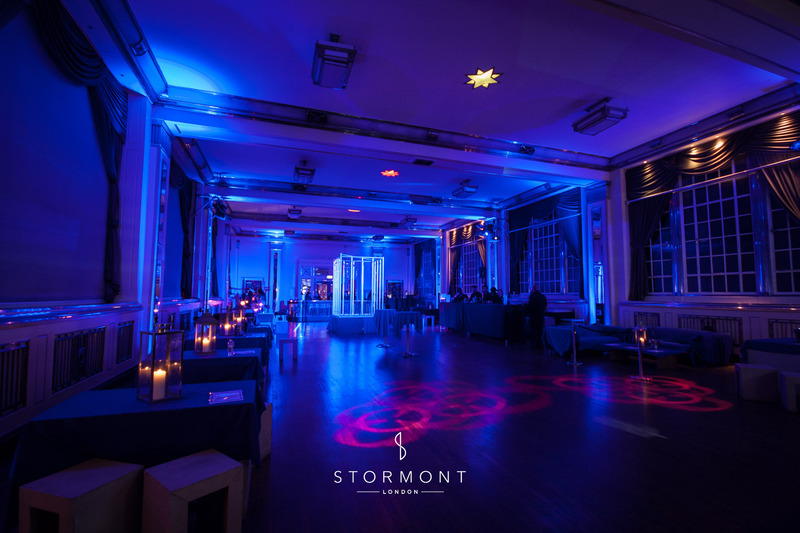 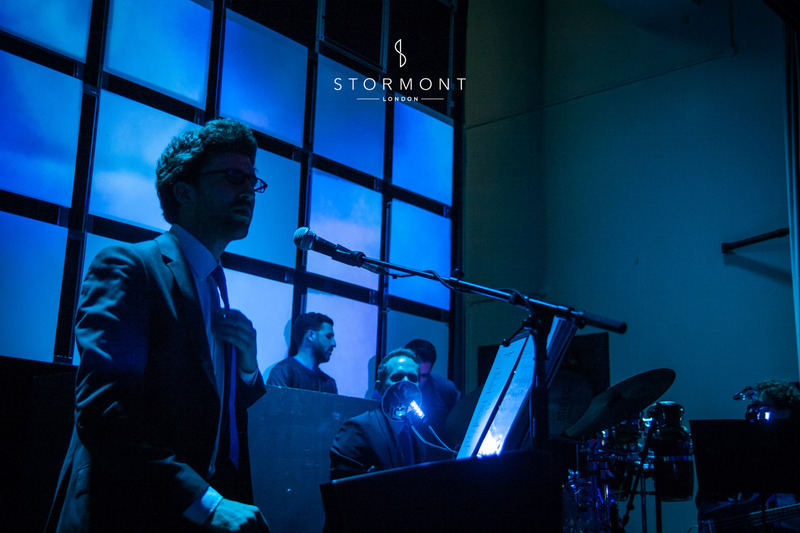 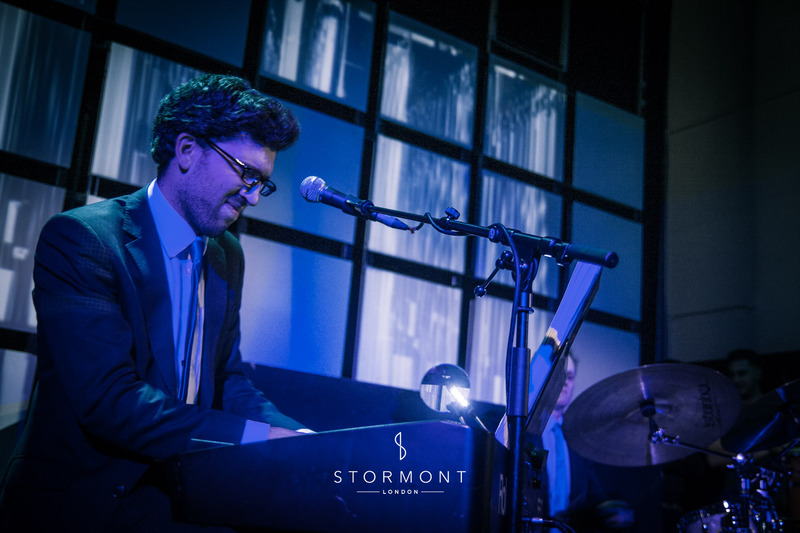 This, the second event we had provided entertainment for, was an extravaganza set in blue held in the renowned Bloomsbury Ballroom. 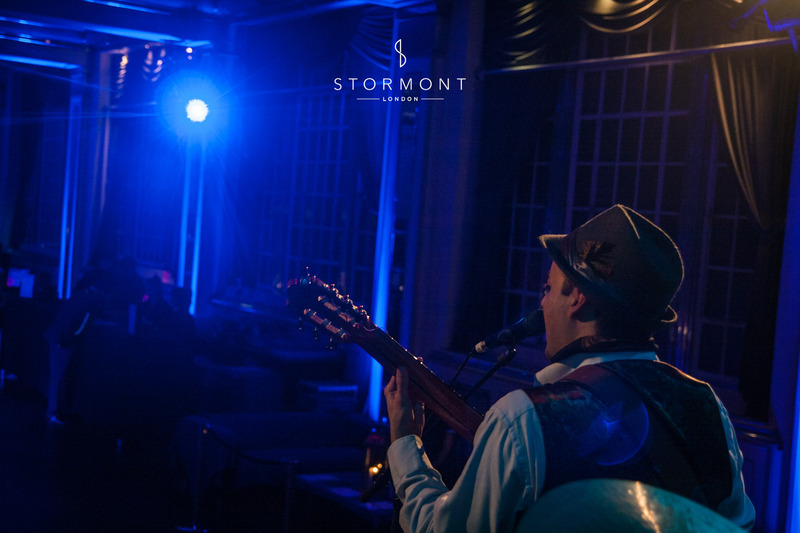 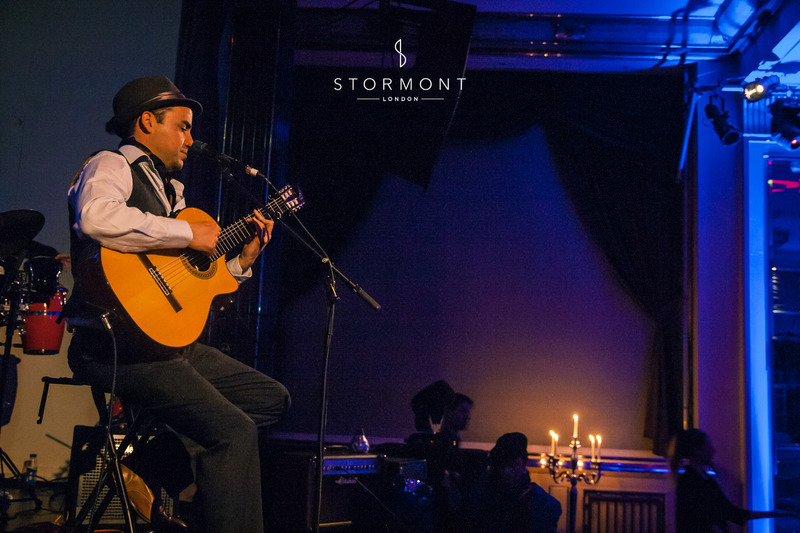 Setting the tone as guests arrived were a trio from Redstone and Javier from Los Amigos performing a blend of retro swing and upbeat Spanish & Latin songs. 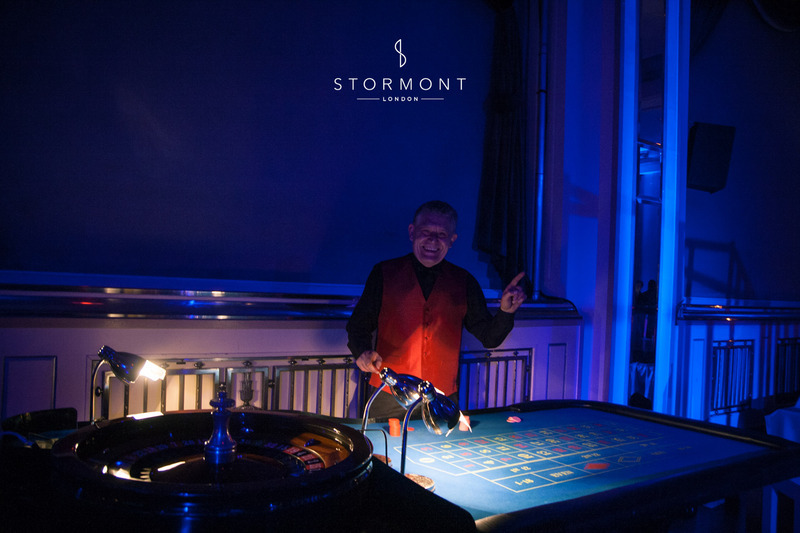 As the night warmed up, a casino and charming croupier entertained any would be gamblers. 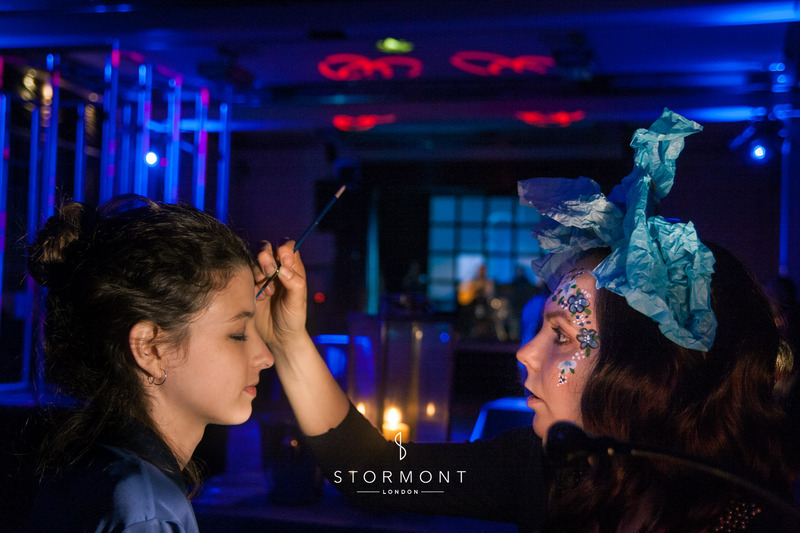 Makeup artists let the revellers express their mood a decorated faces, hands and all manner of body parts. 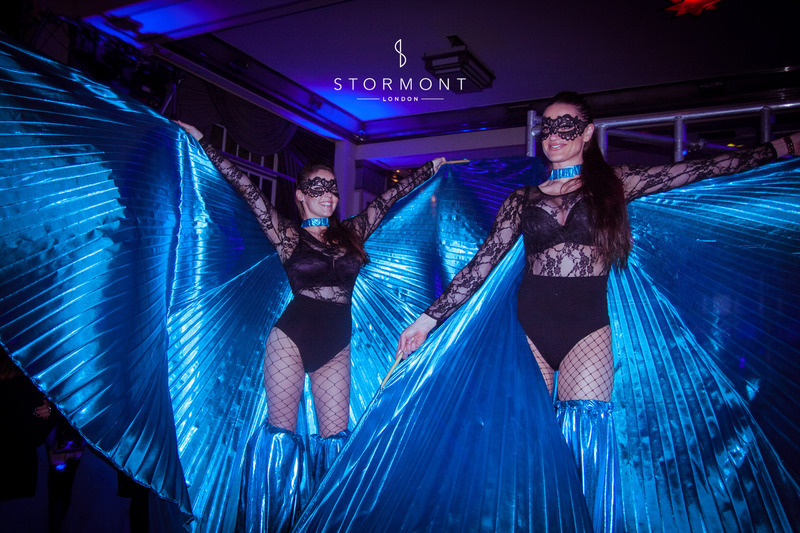 The stilt walkers drew every eye with their shimmering blue wings.